Let’s be honest, nothing good stays secret for too long. Especially when it comes to finding that perfect wave. Australia is renowned for its surf culture, beautiful beaches and epic waves. 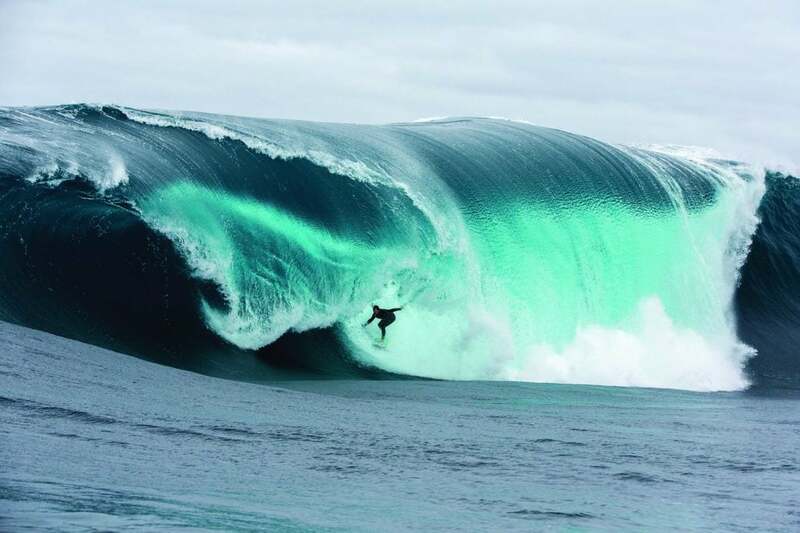 Here are the top eight secret surf locations across Australia. Found south of the Queensland seaside town, Agnes Water, is Springs Beach. This stunning beach area is part of the Discovery Coast and is one of the most northerly beaches along Australia’s east coast to receive the Tasman Sea swell. The meeting of Springs Beach and the Coral Sea make for prime surf breaks. Whitehaven Island is the picture of Queensland perfection. Although it’s famous for its white sand beaches and stunning reef, after a strong north east wind cycle, surfers can catch some smallish peelers along the sand bar. Not too far out of Sydney (about a 3-hour drive), is Cave Beach. Located in the Booderee National Park, the land is owned by the Wreck Bay Aboriginal Community. The best time to surf Cave Beach is during summer when there’s a southerly swell and offshore northerly winds to create the perfect break. One of the world’s longest beaches, 75-Mile Beach on Fraser Island in Queensland is a great destination for surfers of any level. The beach receives plenty of swell. To get to the waves, you’ll need to take a 4WD. Australia’s west coast doesn’t get enough credit when it comes to great surf. And Western Australia’s Margaret River is definitely a destination to head to for waves during the day and wine at night (it is one of Australia’s top wine regions, after all). For those with some surfing chops willing to take on barrels of six metres or more over sharp offshore reef, Prevelly is the place to go. Remember, safety first in this location – wear a helmet. 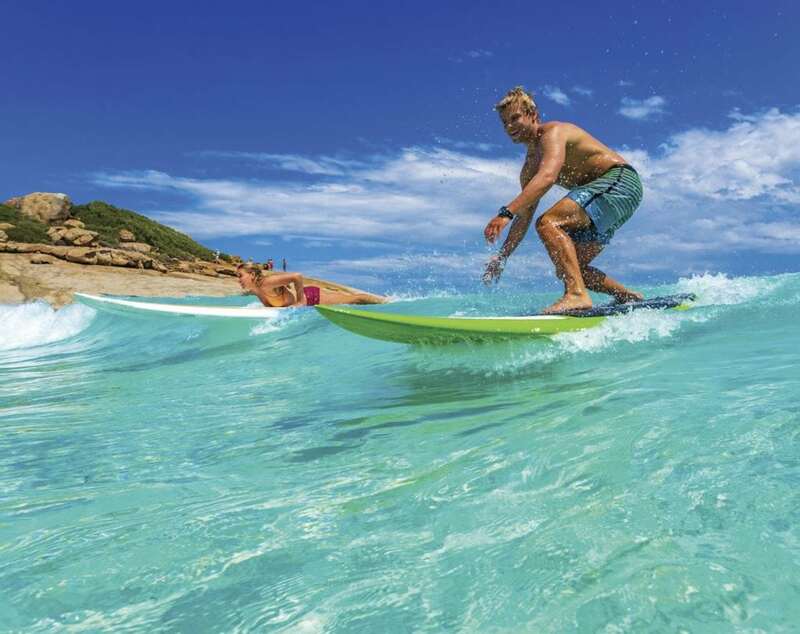 Ningaloo Reef has an abundance of marine life, diving attractions and thrilling surfing opportunities. Red Bluff is no laughing matter. Bring your shortboard, wear booties (the reef is not only sharp but also home to sea urchins) and follow the locals. The best season for surfing at Red Bluff is winter. Not as treacherous as the name might indicate, Treachery Beach is known for its excellent breaks and isolated beaches, making it a great spot to set up camp for the day and enjoy the waves.